Burton Leon Reynolds Jr. — Burt Reynolds — was born on Feb. 11, 1936, and died of cardiac arrest on Sept. 6, 2018. The well-known American actor was also a director and producer. From TV to movies, Reynolds was an icon from the 1960s through the 1990s. 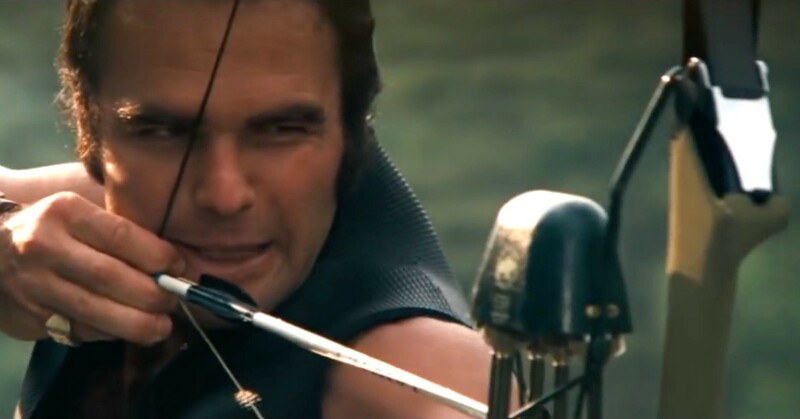 While Reynolds played the lead in several box office hits, it was his role in the thriller “Deliverance” (1972; rated R) that showcased his skills as an archer. Assuming it has been years since you’ve seen the unforgettable film (or perhaps you’ve never watched it), we’ve included the clip below to give you taste of Burt with a bow. Those familiar with the movie certainly remember several of the more troubling scenes, and spoiler alert: A recurve bow is used to fight evil on more than one occasion. You might be surprised to learn this fact: “Deliverance” was a critical success and earned several impressive nominations, including three for the Academy Awards and five for the Golden Globes. In addition, the film was selected for preservation in the United States National Film Registry in 2008 because it is "culturally, historically, or aesthetically significant." In the film, Burt Reynolds plays avid outdoorsman Lewis Medlock. Reynolds had no prior experience shooting a bow — or hunting — but he learned from the very best. Using a Fred Bear Victor Kodiak Takedown recurve, Reynolds received a week of archery instruction prior to filming from Fred Bear himself. Bear Archery supplied all the traditional bows, arrows and other archery gear used in the movie. Well-known actor Jon Voight, who also starred in the film and received training from Fred Bear, shot a Bear Kodiak Hunter recurve. Apparently, Reynolds said that Fred Bear took him bowhunting for wild boar so the actor would learn more about the sport of bowhunting and the pursuit of wild game.